The interior ministry says savings will be used to hike police salaries. The government in Kazakhstan is cutting costs by laying off police officers and turning to the public for help in combating crime. 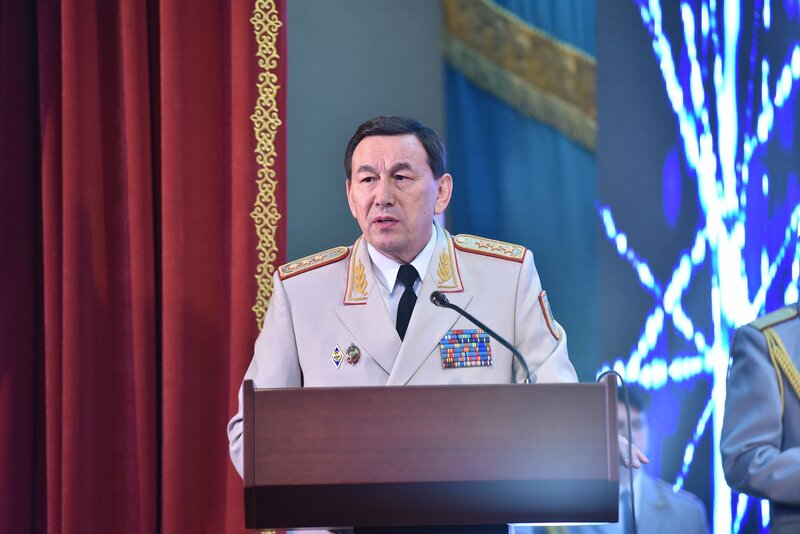 Interior Minister Kalmukhanbet Kasymov said in the Senate on December 7 that the ranks of the police would be slashed by 10 percent, with much of the cuts occurring among management. “We will not make cuts among the investigators, precinct cops and special agents. We will target administrators. We plan to lay off around 450 managers,” Kasymov was quoted as saying by Tengri news. This will translate into 16 billion tenge ($43 million) in annual savings, which would then be parlayed into increasing salaries for the remaining staff. Beat policemen and investigators should expect the largest pay rise. Low salaries for law enforcement personnel are said to be one of the primary causes of corruption and inefficiency in the force. In September, Kasymov revealed that average salaries for police officers are around $300. Kasymov said that once the cutbacks had been implemented, there would be 424 policemen per 100,000 citizens, instead of the current 471. This would bring Kazakhstan closer to the United Nations-recommended ratio of 300 policemen per 100,000 citizens, he said. (Kasymov did not specify the source for his claim on the UN benchmark. Guidelines on force sizes are a matter of fine-tuning since it requires striking a delicate, context-specific balance between avoiding the conditions for corruption on the one hand, which can happen with overstaffing, and criminality on the other, where there are too few police). In any event, one plan is to outsource some law enforcement duties to the public. The Interior Ministry said it is drawing on the experience of countries like the United States, Canada, Australia and Ireland by creating stronger incentives for the public to report crimes. Police say they will create a mobile phone app to provide financial compensation in return for public reports with photographic and video documentation of offenses. “Fifty percent of fines will be paid to the government, 40 percent will go to citizens who reported [the crime] and 10 percent will go to the company that develops the app,” Kasymov said, adding that this would contribute to a zero-tolerance stance on crime. Police reform in Kazakhstan was lent special urgency in July following the murder of ice-skating star Denis Ten. The 25-year-old was stabbed in Almaty when he confronted thieves trying to steal wing-mirrors from his car. The killing sparked mass outcry and demands for the government to work harder on bolstering the work of the police. President Nursultan Nazarbayev also joined those calls. “All over the world, police are the friends of the people. What about here?” he asked rhetorically in August. Nazarbayev lamented the low level of public confidence in the police and noted the need for radical reform. He cited the example of Georgia, explaining that policemen there had undergone radical restaffing with better-educated personnel taking the place of outgoing low-skilled officers. In that spirit, Nazarbayev in October instructed Kasymov to study the experience of other countries on how to streamline law enforcement agencies and raise police salaries.